People living in Perth can now have something to smile about after the introduction of our cleaning solutions in the city. Alphaclean is the leading cleaning solution provider in Australia. 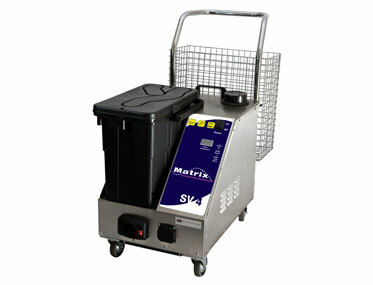 We have a wide variety of cleaning equipment including steam cleaners. Alphaclean Perth has the most advanced steam cleaners the market. They have been developed after many years of research thus giving them the most innovative features that any other steam cleaner in the market. They are rugged, powerful and easy to use and maintain and that’s why our customers love them. For a chemical free wash in Perth, get one of our steam cleaners; you can either buy or rent and see the results. Alphaclean steam cleaners are available in all major cities where you will be able to get a wide variety to choose from including Brisbane, Sydney, Melbourne and Adelaide. Alphaclean Perth sells and services steam cleaners from our outlet. Our steam cleaners are the most advanced in Australia with innovative features that have been designed by our own engineers to give you the perfect clean. They are easy to use and maintain and we also provide a comprehensive warranty for all equipment that we sell. Our technicians are factory trained to give them the best knowledge in servicing and repairing steam cleaners. For those people in Perth who want to rent our equipment, we also offer that service. Our rates are the lowest in Australia while we provide state of the art steam cleaners. They are easy to operate and maintain whilst they give that sparkling clean wash to your surfaces including carpets, curtains, walls, hard floor, tiles and many more kind more types of surfaces. Alphaclean continues to research and improve our steam cleaners to offer you the best features possible. They are cost effective and are just perfect for any type of surface. Contact us today for the best steam cleaners in the market yet.